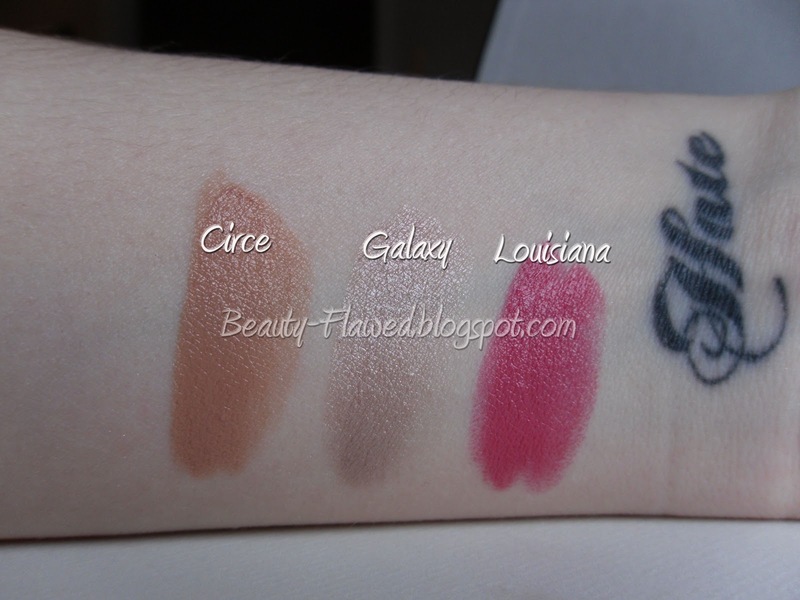 To conclude my recent Lipstick kick these are the final swatches from my Cherry Culture Haul. 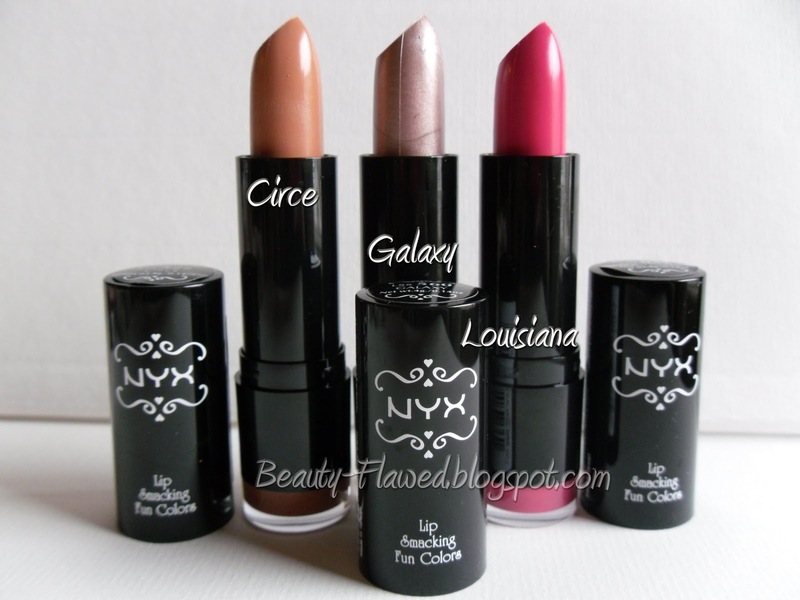 These are NYX Round Lipsticks in Circe, Galaxy, and Louisiana. I really like Louisiana its such a pretty pink shade and I think it is by far my favorite out of these three. It really has that standing out power that I like in a bright lipstick. I wanted to pick up some tamer shades since I got a bunch of colors and Circe and Galaxy are pretty nice. 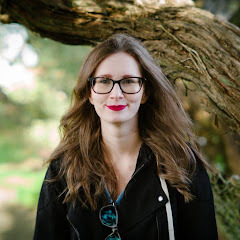 I had seen swatches of Circe and really liked what I was seeing but it is a little dark for my skin tone so I add a bit of gloss to lighten it up and it looks alright on me. Galaxy is a really pretty frosted shade and I'm really happy I picked that one up it looks really good on and I like that its more of a frosted one since I dont really have anything that looks like it. The formula of the NYX Round Lipsticks is nice for its price, I got these for about $2.00 each from Cherry Culture during their anniversary sale. They go on very smooth, have nice color payoff, have no smell, and are moisturizing. I'm a little disappointed with their wear time however they come off easily and are almost like putting a very pigmented lip balm on, they do not withstand eating or drinking. I had to touch these ones up much more than the Black Label Ones (Bling or Ruby & Cherry). Even tho the formula is a bit lacking I think I would pick more of these up because their price point is right and they have a ton of shades. I can work with having to re apply them and I think overall they are really fun lipsticks that are very affordable for most. 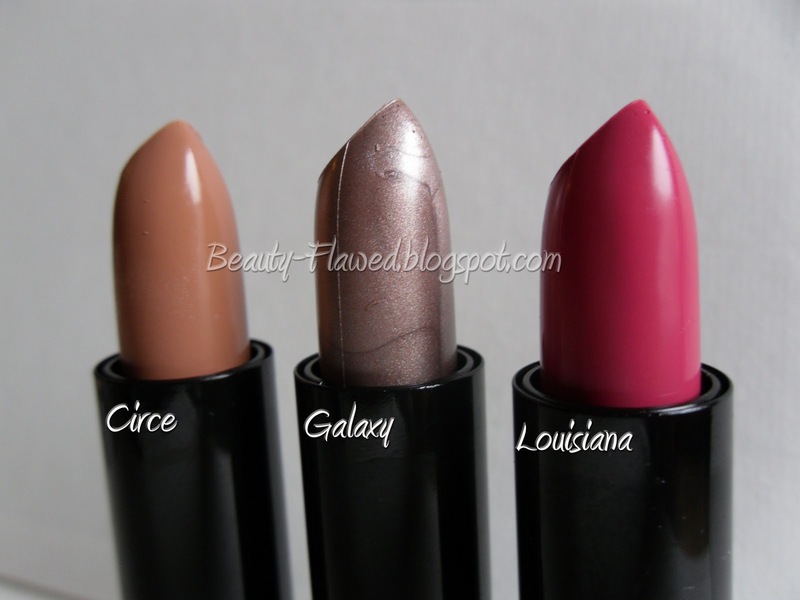 I'm still wanting to try these lipsticks! It's so hard to find in my area.